Royal Enfield does not plan to launch the Royal Enfield Himalayan 650 in the Indian or global markets in the 'short-term,' Rudratej Singh (Rudy), President - Royal Enfield, has confirmed to IAB. 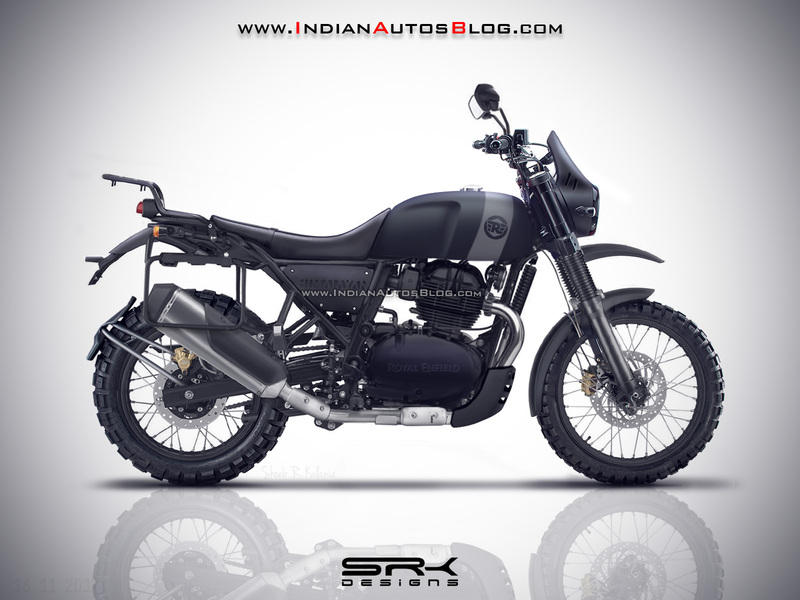 Digital render of the upcoming Royal Enfield Himalayan 650 created by IAB's Shoeb R Kalania. Furthermore, he revealed the company is currently directing its energies on the launch of the Royal Enfield 650 twins. He was talking to IAB on the sidelines of the introduction of Royal Enfield Classic 350 Signals Edition. In May 2017, Siddhartha Lal, CEO & MD - Royal Enfield, had confirmed the Himalayan to be one of the selected motorcycles to brand's next-gen high capacity motor. The motorcycle could share the half-duplex split cradle frame and the suspension components from the Himalayan 410. However, the chassis will have to be stiffened for better off-road performance, while the suspension units will receive different rebound and compression damping parameters. The Himalayan 650 could share the braking hardware with the Royal Enfield 650 twins along with dual-channel ABS from Bosch. Being an adventure tourer, Royal Enfield could continue with the 21-inch and 18-inch wire-spoke rims setup on the bike, similar to the Himalayan 410. That said, the company is likely to offer better off-road tyres with the higher speed rating. On the Royal Enfield 650 twins, the 648 cc, parallel-twin motor with oil cooling produces 47 bhp of maximum power at 7,100 rpm and 52 Nm of peak torque at 5,250 rpm. The engine pairs to a 6-speed gearbox with a standard slipper and assist clutch. The Royal Enfield Himalayan 650 will compete against the likes of Kawasaki Versys 650 and the upcoming Benelli TRK 502. The motorcycle would do well to have luggage systems like panniers, saddle stays and rear parcel rack to enhance its touring prowess. 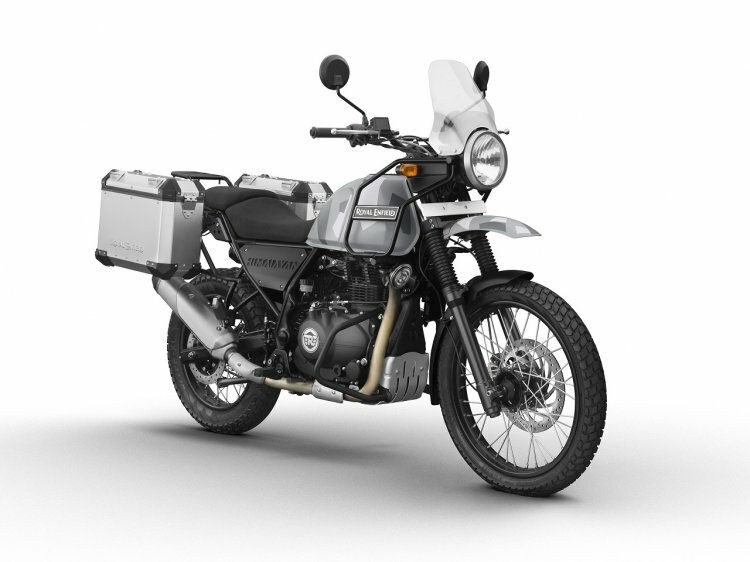 The Royal Enfield Himalayan 650 is likely to get luggage accessories like panniers, top box, saddle stays and rear parcel rack, similar to the Royal Enfield Himalayan Sleet (pictured). That said, the Himalayan 410 employs a 411 cc, single-cylinder, fuel-injected motor with oil cooling that produces a maximum power of 24.5 bhp at 6500 rpm and peak torque of 32 Nm at 4250 rpm, mated to a 5-speed gearbox.